For the past 3-4 years I have been having a problem with my heater in my Jeep Wrangler. On a cold morning in Colorado, and we do have a few of those, the heater will not turn on. Turning the switches and trying this and that nothing works…. Eventually after driving for 10 minutes to as long as 2 hours the heater will come on. I poked around the internet trying to find an answer. I found some good ideas and made a few videos on the repairs I made. Here is the sequence of repairs I made and how they turned out. Your Heater Coil needs flushed! A few people suggested that my heater core needed flushed. 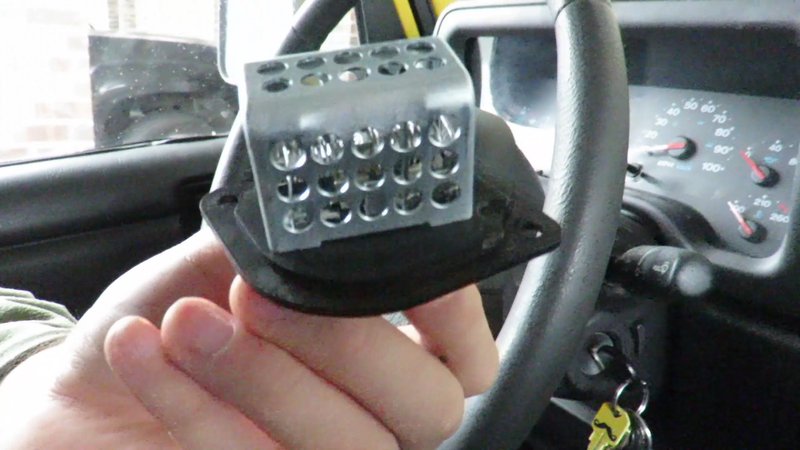 The heater core is a small radiator that is hooked up to your main radiator and this is where you get your heat from. 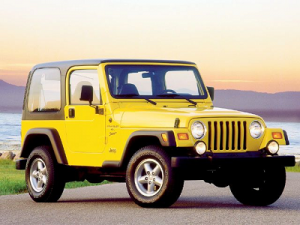 The main idea in this problem is that heat is not flowing to the heater core. So I decided to backflush the radiator. I tried to take a video of me doing it, but it was not a good one. Instead check out this video, of someone doing a backflush. I did the flush, and not much came out… it looked very clean. So, in my case, it was not the radiator. Replace the 3 way switch! The contact points on your 3-speed switch could wear out. Here is the video I made showing how to replace it. I thought maybe the contacts wore off just enough so that when it is really cold it contracts just enough not to work? Turns out it was worn and did need replacing, my wife noticed even on a hot day it sometimes did not make a contact, but wiggling it fixed this problem. The new switch is solid and did need to be replaced, but …. Some other people suggested replacing the Blower Motor Resistor. This is what the 3-speed switch connects to and it is what adjust the amps going to the blower to adjust its speed. Here is the videoI made showing how to replace it. The old one looked pretty clean, so I was pretty sure it was not the problem. 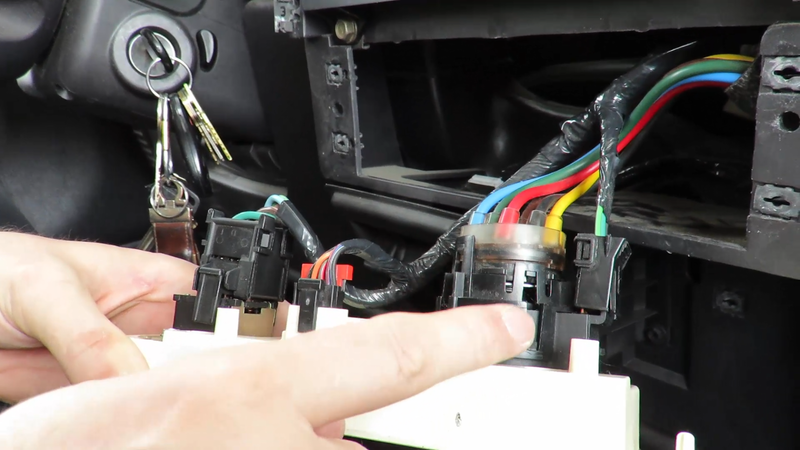 This youtube video made me want to replace the Vacuum heater switch. His plug was melted the wire coming into this guy can overheat and melt. If your Jeep has the same symptoms mine did this may be your problem! Watch the video to get an idea. Here is the video of me replacing it. I finally decided the replace the Blower motor itself. I thought it could not be the motor! I thought it had to do with something further up the line? 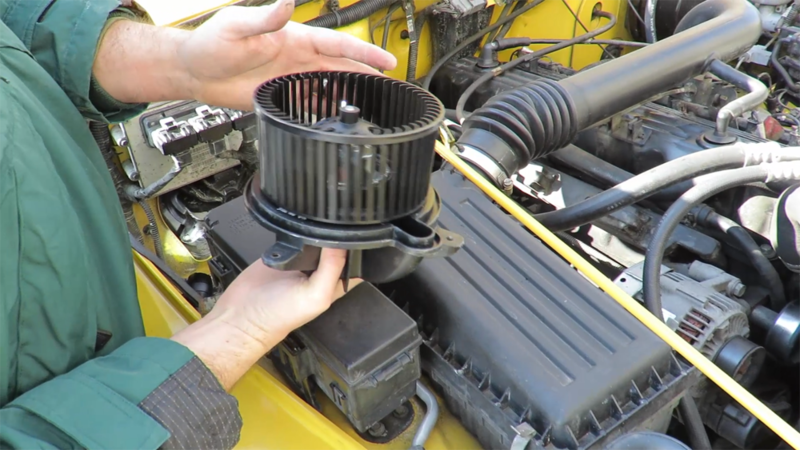 Here is the video I made of me replacing the Blower Motor. Next cold day… It finally worked!! … But it was barely moving any air. Air was coming out at < 4MPH when it should be > 13 MPH. I took two hours and poked and prodded, I thought the new motor was a jip. I put the old one in, on a warm day, and it was blowing slow too? Finally I realized I had plugged in in backwards! The motor was running backwards. I reversed the plug and now it's working like it should! 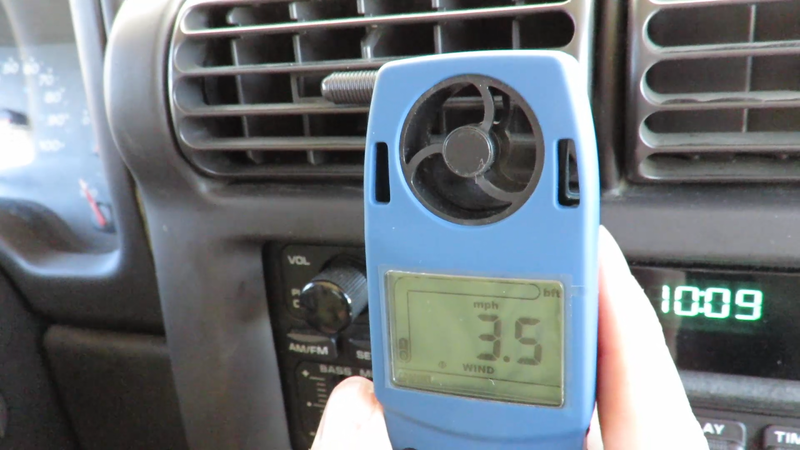 Here is a video showing my stupidity, but also my mastery of reading a wind gauge! I'm not sure if you got your problem fixed yet or not. A, if you blower motor works on all speeds after it warms up there would be no need to replace the resistor or the fan speed switch, Just the blower motor itself... B, if you only have high speed on your blower motor then the resistor needs to be replaced. Added note, When replacing the blower motor resistor pay close attention to the wiring harness at the plug in for the resistor. 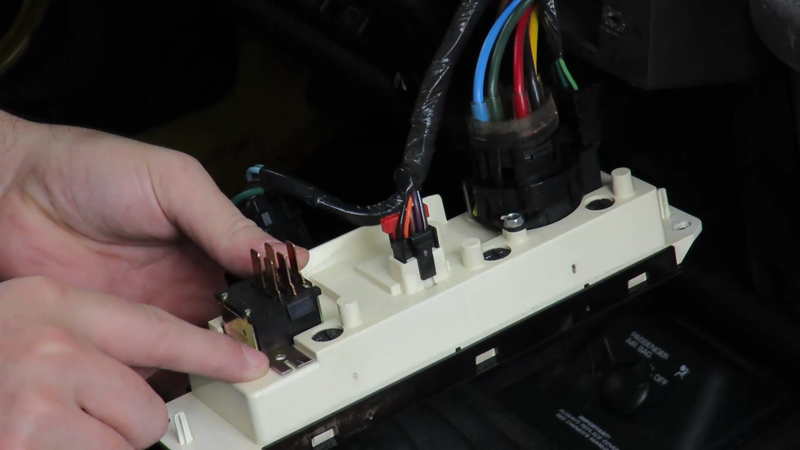 It is known for overheating and melting the harness plug end (you can find a replacement on amazon for the wiring harness). If yours is melted at the resistor plug then I would also strongly recommend inspecting the wiring to, and the back of, the blower speed control switch... I hope that helps.